By the time you read this, I will have entered the alternate reality of Baselworld. My focus for the next seven days will be watches, and not this blog, so I’ll leave you with a different treat for the wrist. 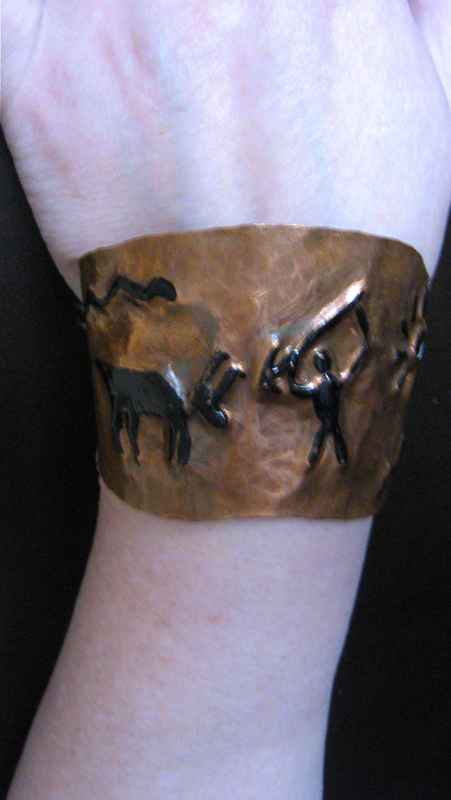 I’ve had this hand hammered copper cuff bracelet for ages. The problem is that it was always too small to wear. So last weekend, I drilled some holes into it and added a heavy chain link bracelet of a similar vintage so that it would stay on the wrist. I love it but will list it in my Etsy shop when I reopen it upon my return.